I've lived within walking distance of cattails (Typha spp.) my whole life, and sincerely regret not learning to eat them sooner. If only I had known! 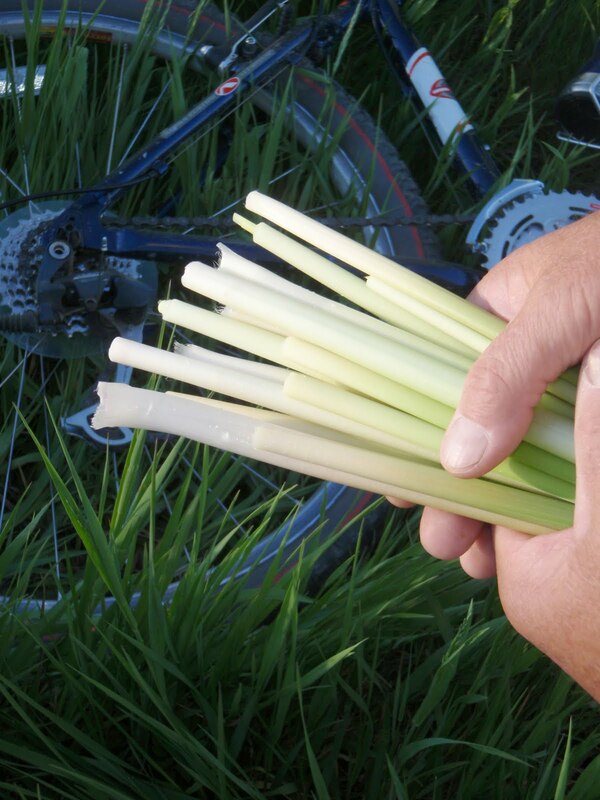 Cattail shoots may be one of the most taste bud-friendly foraged foods out there. Dandelion leaves, asparagus, and mushrooms have strong flavors, and not everybody likes them. But cattail shoots are crunchy and yummy. Since they are sometimes referred to as cossack asparagus, I had expected them to taste like asparagus. But it turns out that cattail shoots have a lovely cucumber-like flavor. As long as you can find a spot where you can walk right up to the cattails without getting knee-deep in mud or water, they are very easy to harvest. Peel back the outer 2-3 leaves, grasp the stalk with both hands, and give a firm tug. It should come right up without the root. 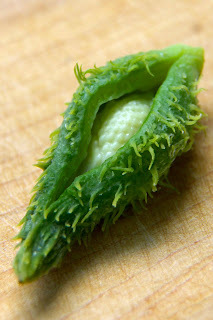 Then, use a pocket knife or pair of scissors to cut away the tough green upper portions of the leaves, because you will only be eating the cream-colored hearts. It is important to only collect cattails from clean water, as they are growing directly in it, and can be contaminated with all manner of ick, from chemicals to parasites. 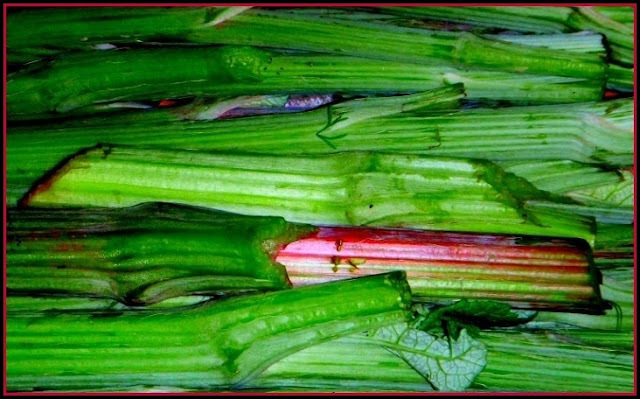 Also, be aware that some people experience tingling at the back of the throat when eating raw cattail shoots. Test a small bite. 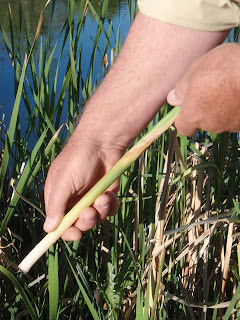 If you experience the tingling on your tongue or throat, cattail shoots probably aren't for you. 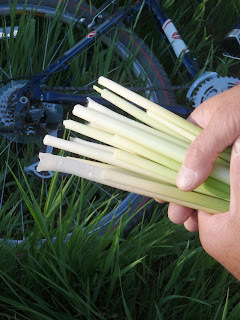 Cattail shoots taste nice when cooked, but because they are so refreshing, I prefer to use them in cold preparations. Chopped into rounds, they are a natural in most salads. And if you are concerned with eating locally, cattail shoots make a great substitute for cucumbers, which aren't yet in season. So far, my favorite cattail dish is a dilled yogurt soup. 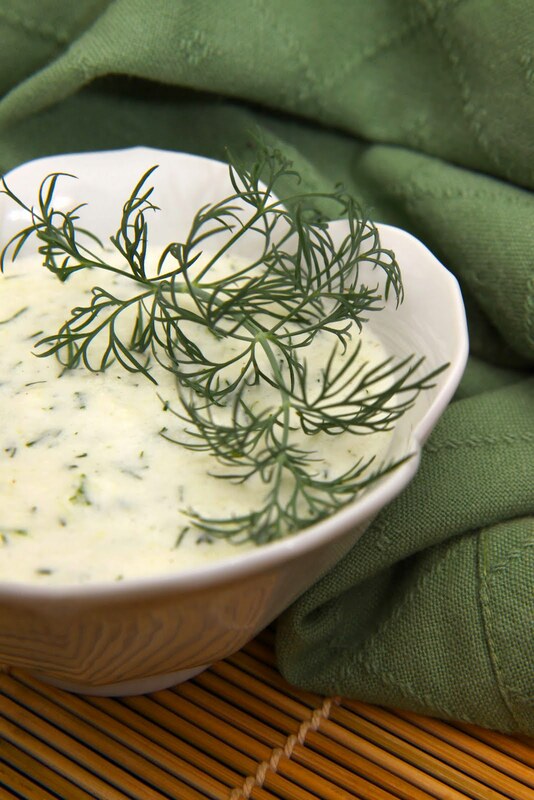 In a blender, combine approximately one cup of chopped cattail hearts (you'll be able to feel resistance with your knife where they become too tough to eat), 1 1/2 c. yogurt, a handful of fresh dill, half a clove of minced garlic, s&p, and enough milk to thin to a nice soup consistency. Blend until smooth, and serve chilled. Wow, after a long cold spring, foraging season is finally picking up. I even found my first two morel mushrooms the other day! If you'd like to read more about what I've been harvesting, click here. This post appears as a part of Real Food Wednesday. Check out the link to find recipes and tips from other people who keep it Real. I had no idea you could eat cattail! Wow, this just opened up a whole new world to me! Thanks! Bethany- I didn't know until this year myself, but they are a very versatile food. In fact, the root, young flowers, and pollen are all edible! I never knew you could eat those either! I'm all for foraging your own food. I find it exciting to see what's out there to eat in our own backyards! Me, too, Angela! I find foraging to be the perfect complement to gardening, as it gives me more food close at hand. And there's just something primally good about hunting for food. Since they are in standing water, i was wondering if you presoaked the shoots before eating them. Pat - I've never tried soaking, but that might be a good idea. I usually just try to harvest them from a clean spot and then wash them. But I have a pond near my house with cattails which is fed by run-off from a golf course, and I'd never eat the shoots from those plants. OMG yum. You are a recipe master. Thanks for pulling cattail shoots from the edge of the pond for me yesterday, and good job not falling in. Is it too early to pick these? If they are green, they are good. I just pull them out of the ground as i fish and eat them fresh like that.